Rebekah Hanson, violist and violinist, holds a DMA and MMus from the University of Oregon. 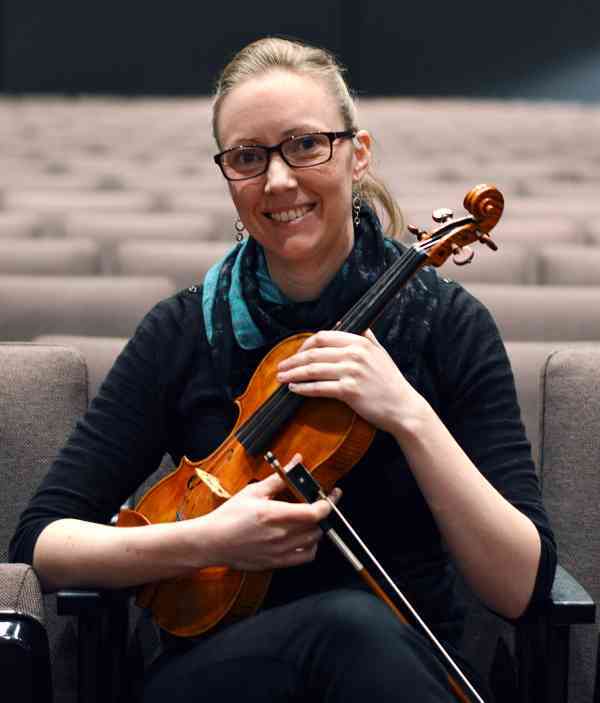 She has a private studio and is on the faculty at George Fox University, where she teaches violin and viola, music history, and directs the university chamber music program. Rebekah teaches students of all ages and focuses on helping her students not only play their instruments well, but have fun and learn to love music. Her passion is connecting students to their community, helping them understand that they have something beautiful to offer the world. Her students (both University and private studio) have won awards, including the Suzuki Association of the Americas Violin Performance Ensemble and Young Artist Orchestra, Oregon All-State and All-Northwest Orchestras, the George Fox University Concerto Competition, and Concertmaster of the University of Oregon Symphony. In addition to teaching, Rebekah loves playing chamber music, board games and soccer.